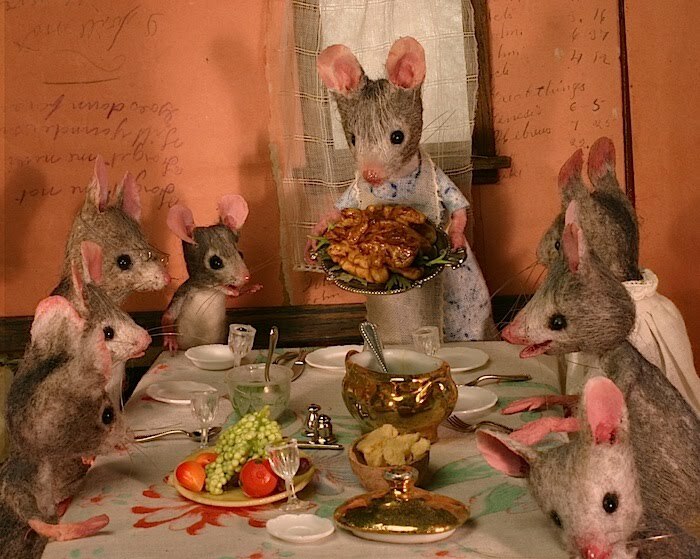 The mice are giving thanks for their roast walnut feast and I am giving thanks for my family, friends and followers. 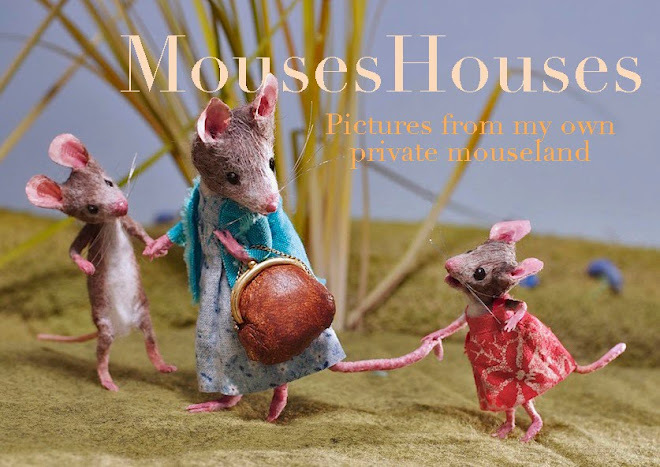 Here we are, shooting the photographs for "The House that Mouse Built". Bruce has an astounding set-up, and I got quite an education watching him light the scenes. I'm making yet another mouse micro-adjustment here while Bruce does his deep-breathing exercises (not really, he was incredibly patient, even when my dogs were sitting on his feet). Photo by Maddie Odenborg. ...unless they're having a paperfight! 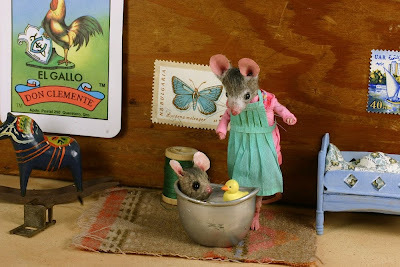 My sister gave me this beautiful cup and saucer for my birthday, and as you can see, we are getting a lot of use out of it. Thank you, Susy! 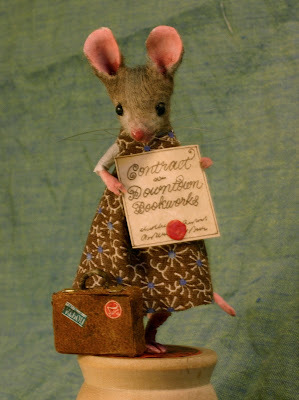 She has returned from the big city with a book contract! 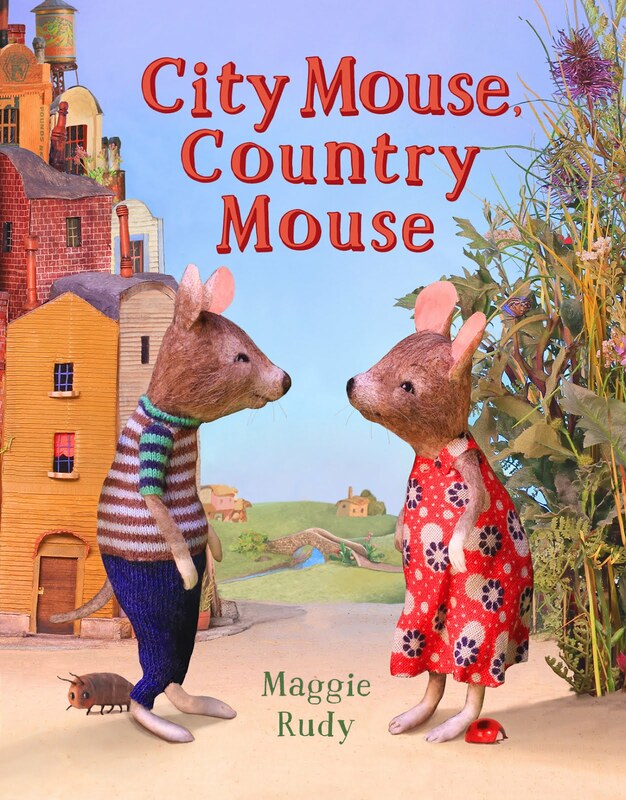 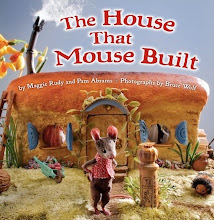 It will published in March '11, and is called "The House that Mouse Built". I made this ewer out of an acorn modified with fimo and then painted. 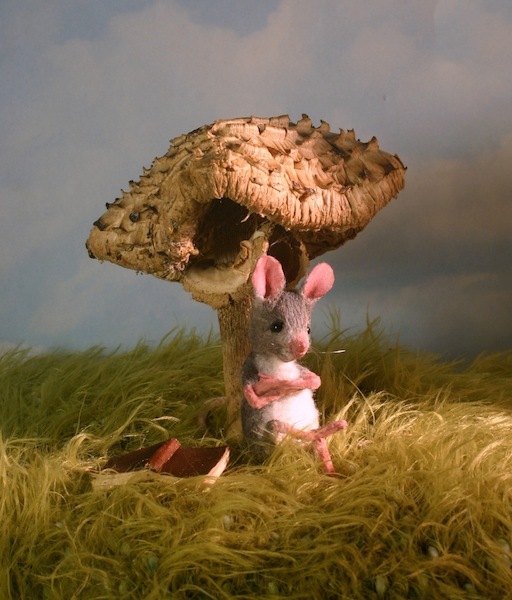 The stand is made from bent brass safety pins. I have been away from internet access for a few days and have returned to find my followers list tripled! 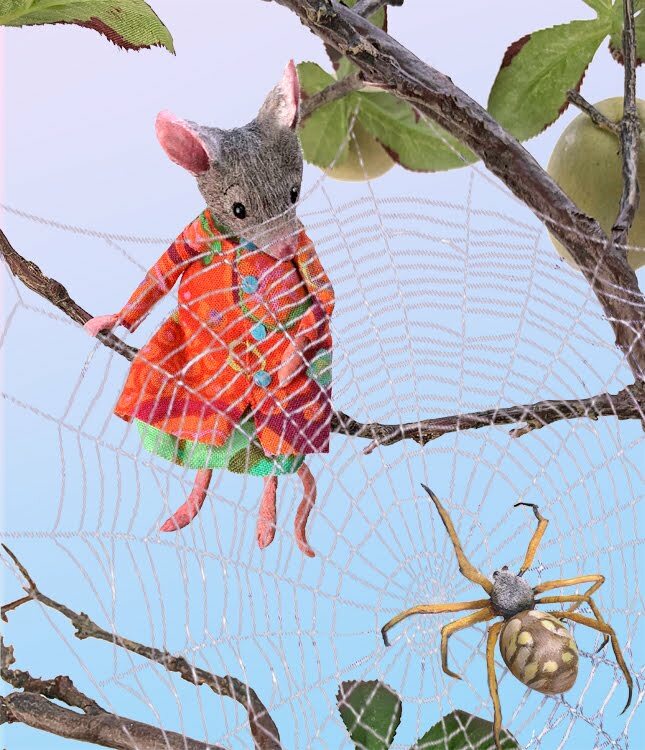 So I need to thank Nikki for featuring me on her blog, and also thank all of my new followers who've left me so many encouraging comments. 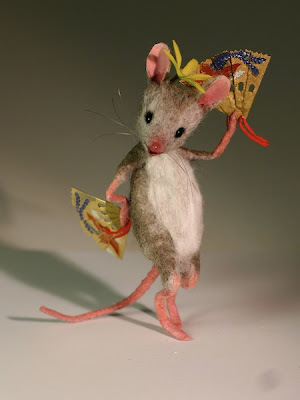 To answer a common question; I am not selling the mice at this point but I am working to develop ways to show them. 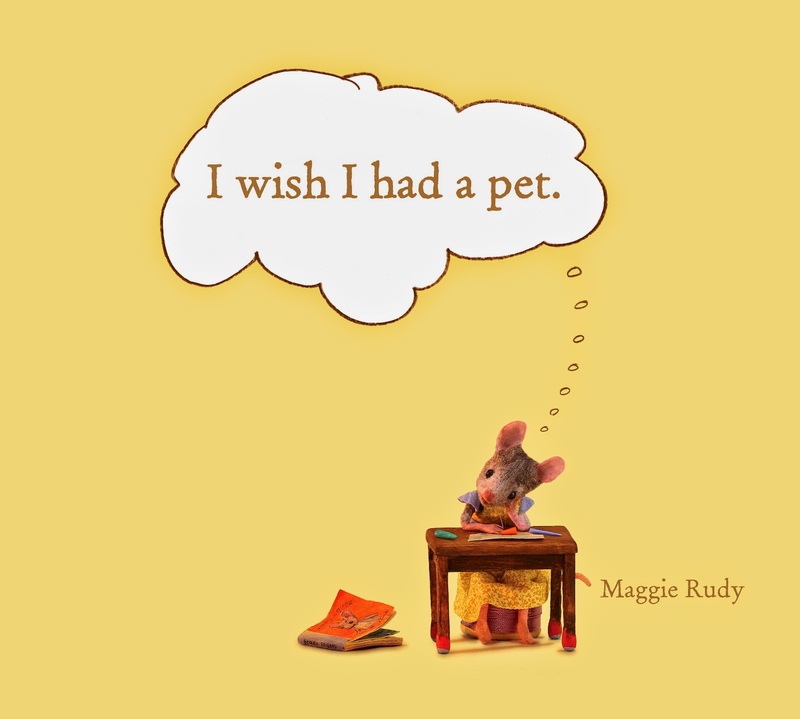 I am in talks now with a publisher to develop a children's book. 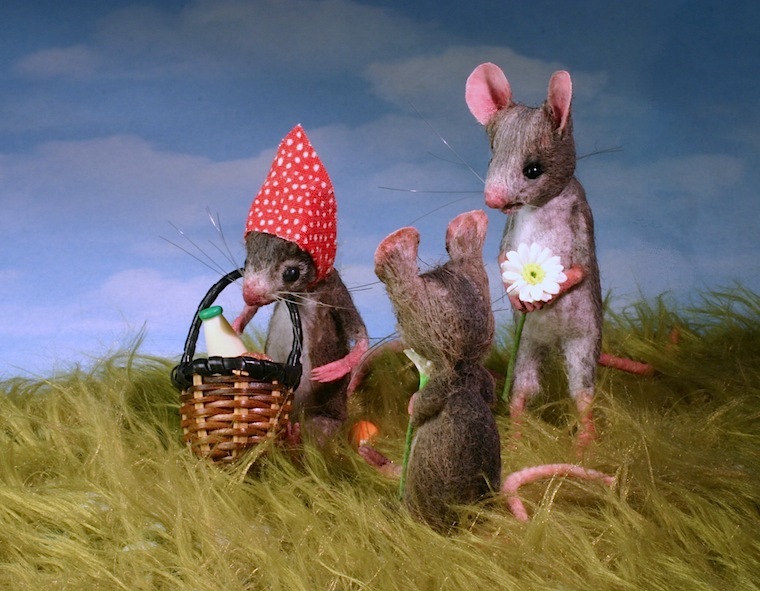 This reminds me of some chilly English picnics I went on in my youth. 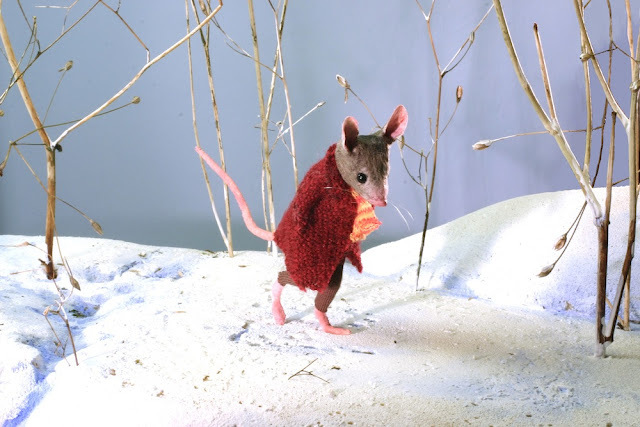 The grassy field in the picture is a furry green sweater. 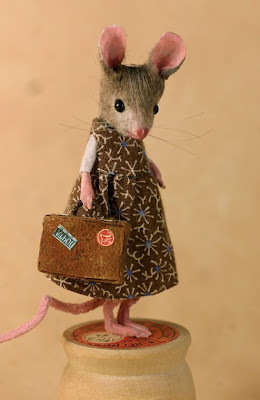 This young mouse is going to NYC with her aunt Laura...she hopes to have a book contract in her little suitcase when she returns! 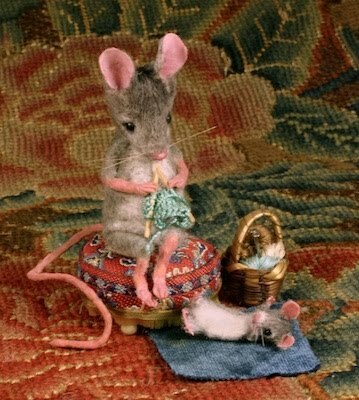 Mama mouse with newborn, sitting in one of a pair of armchairs I made. 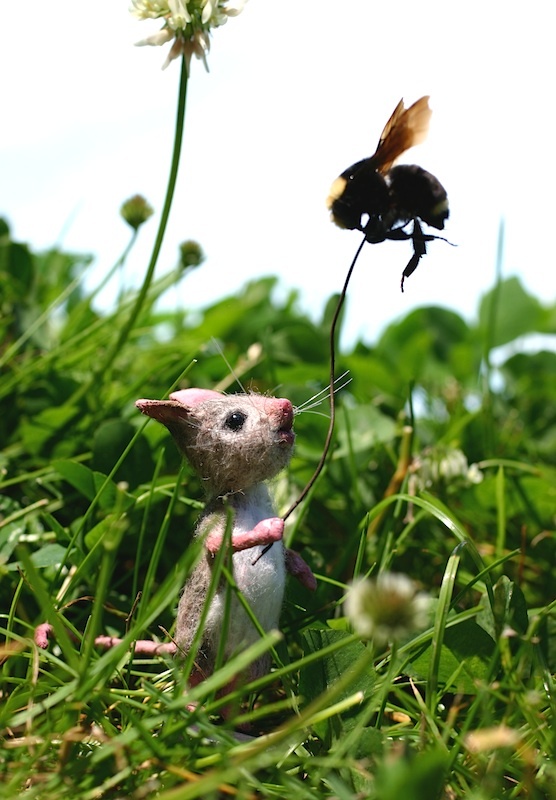 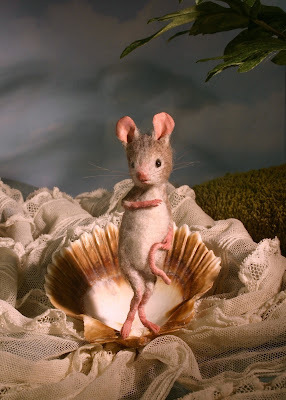 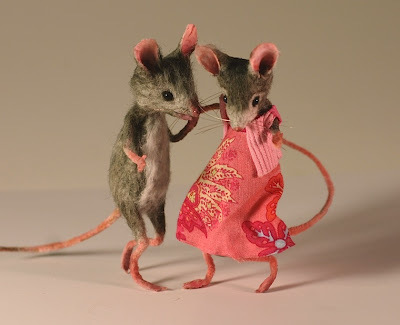 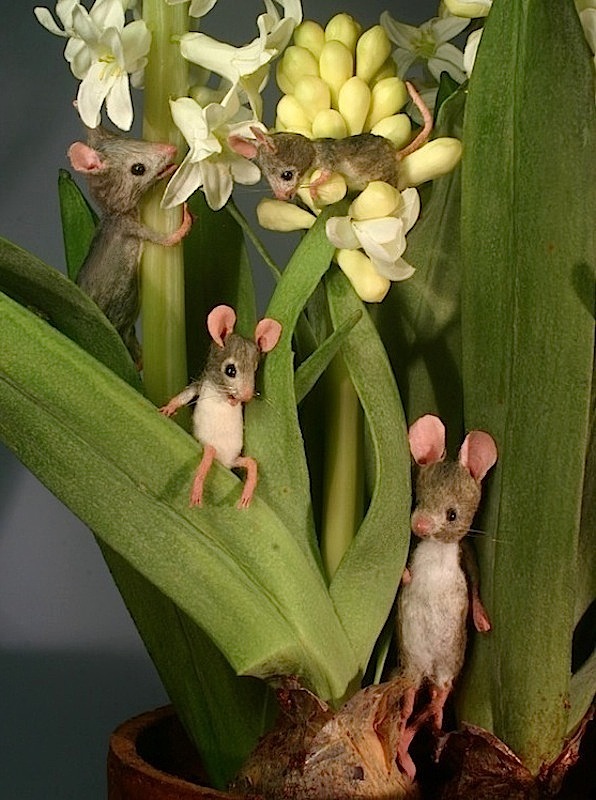 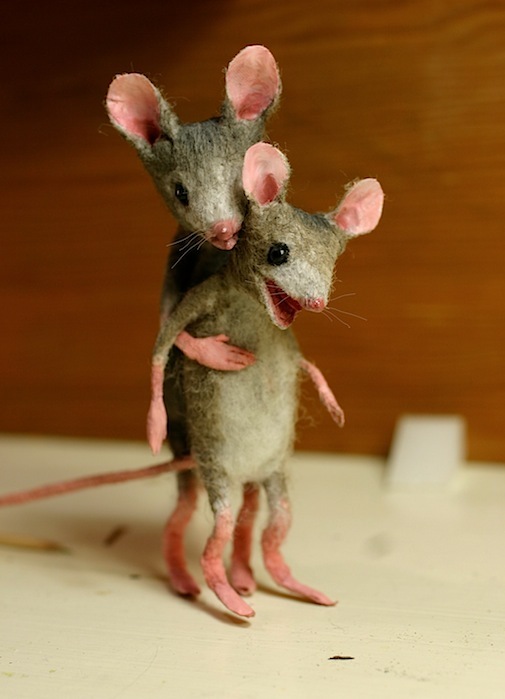 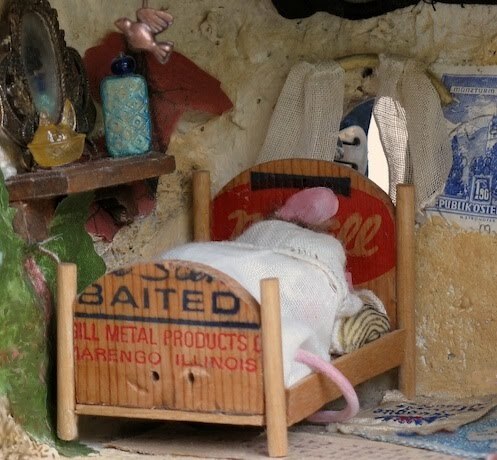 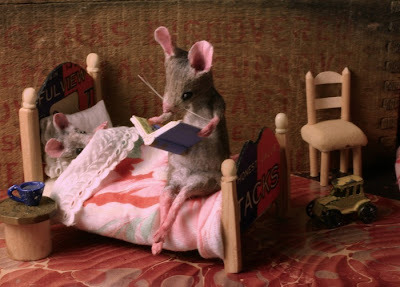 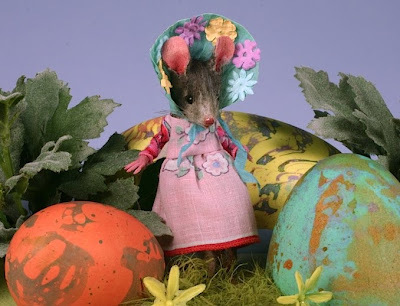 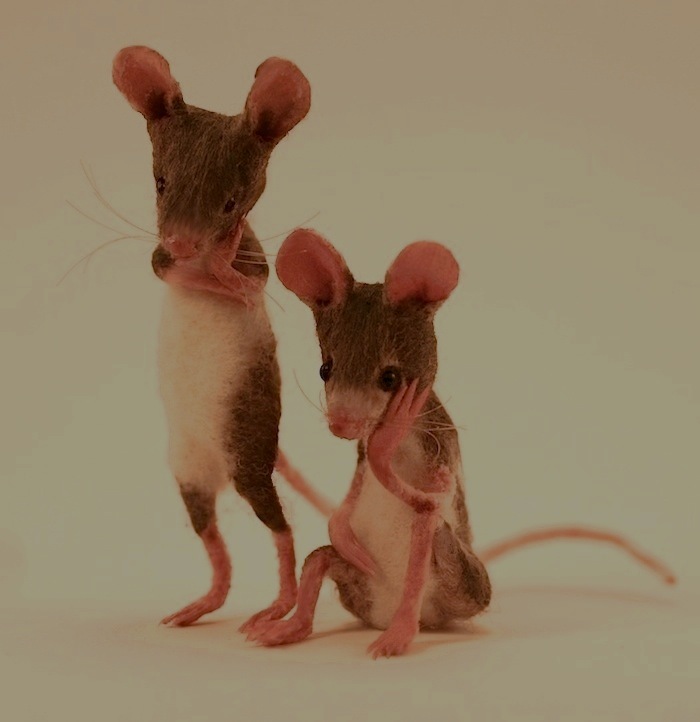 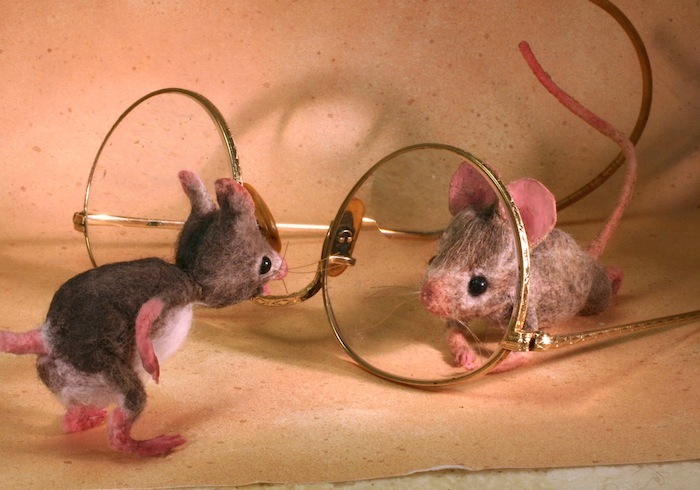 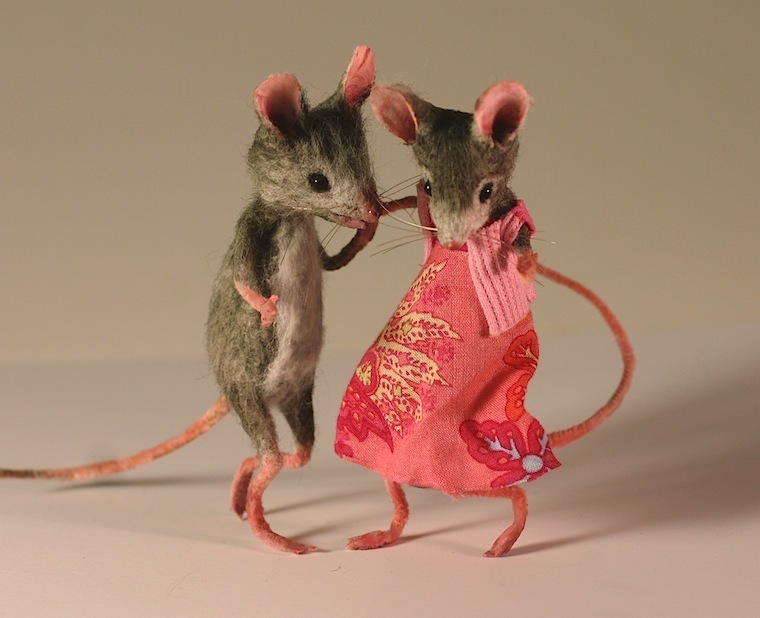 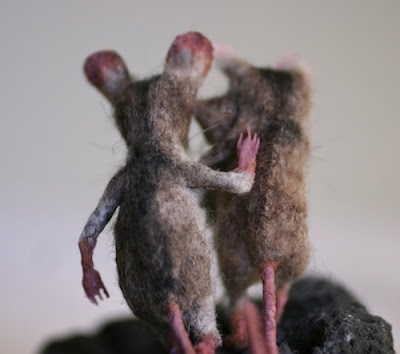 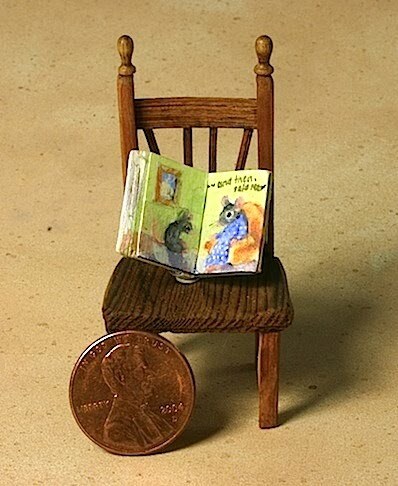 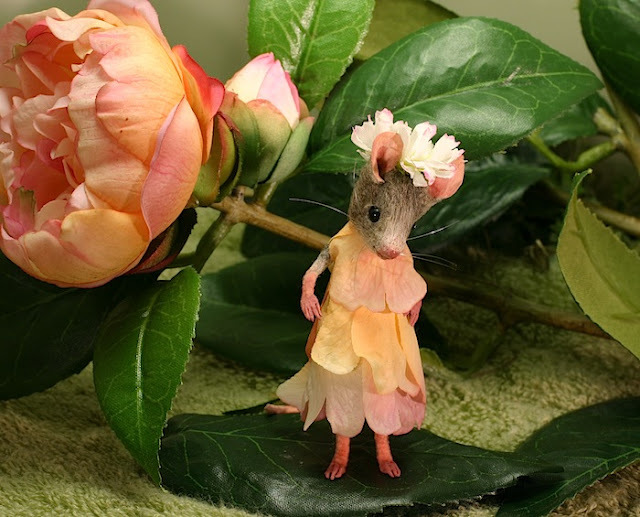 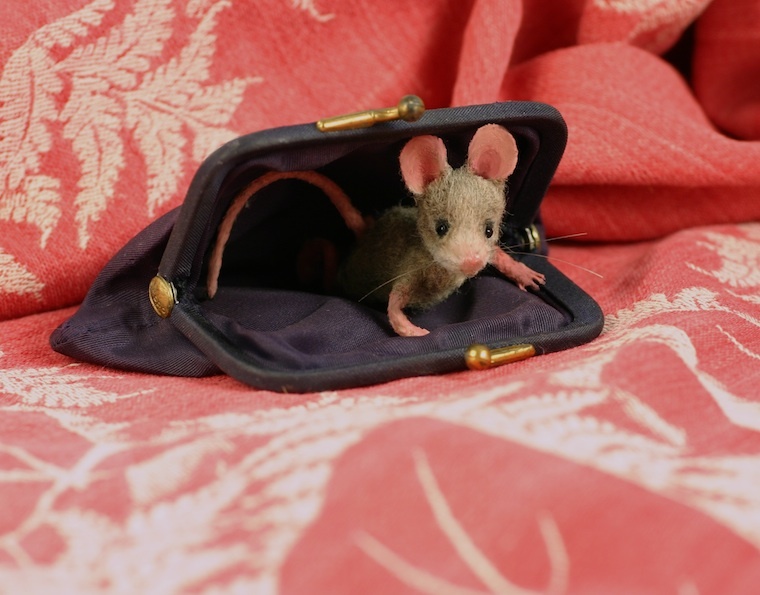 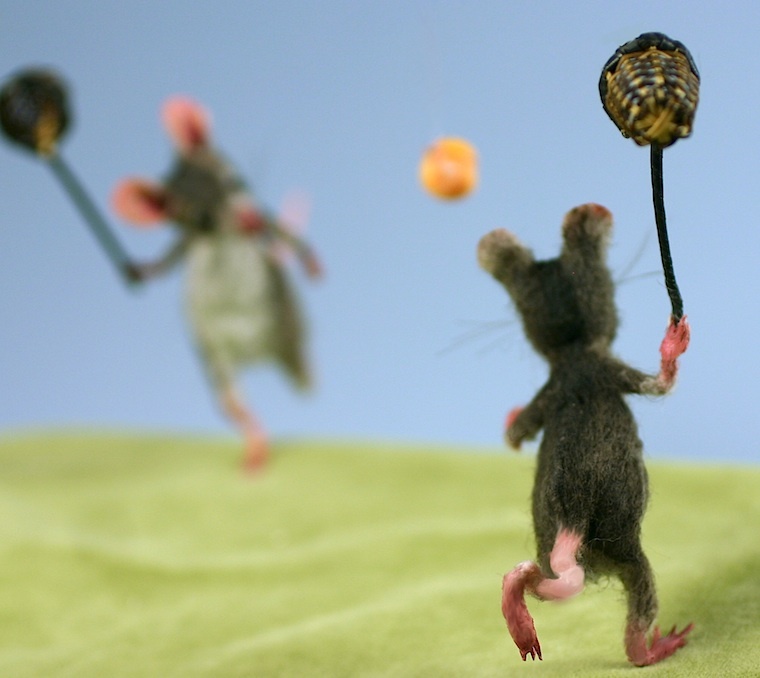 Standard dollhouse miniatures don't work for mice because their proportions are so different from humans. 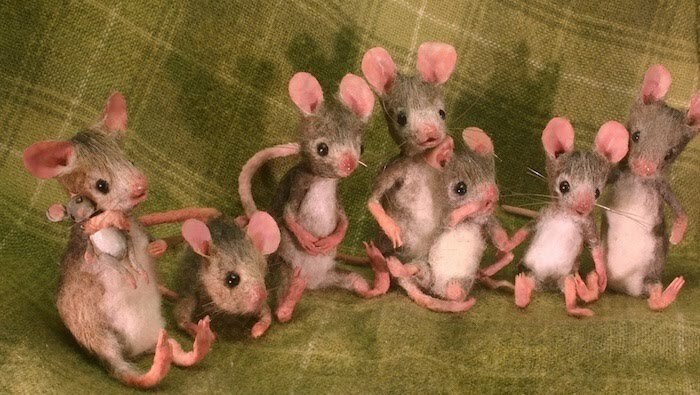 Six sisters, decked out in pink. 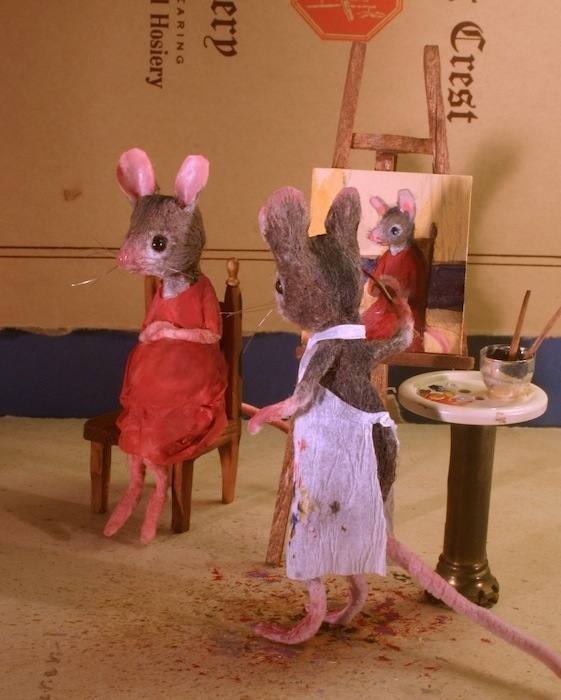 These were for a children's story I was working on. 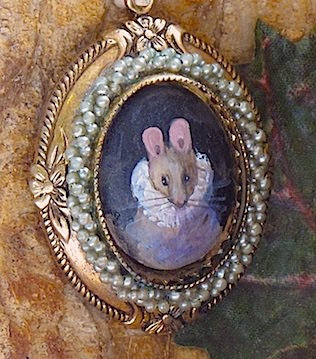 She is reading under an ancestral portrait, painted on an earring. 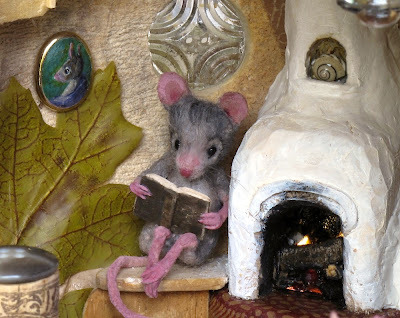 The window is a glass button and the fireplace is carved from basswood. 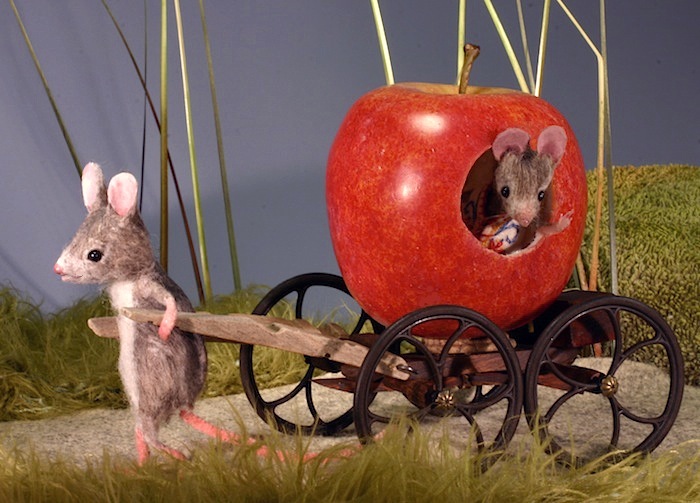 This reminds me of an old goat cart my father used to pull us in when we were little. The cart is made out of a candy box. 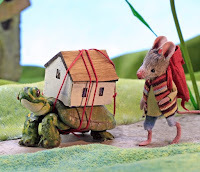 This is a scene outside the gourd house..I made this maybe eight years ago. 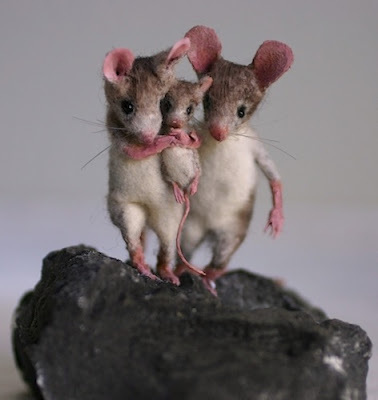 The mice are somewhat more primitive than the ones I'm making now.